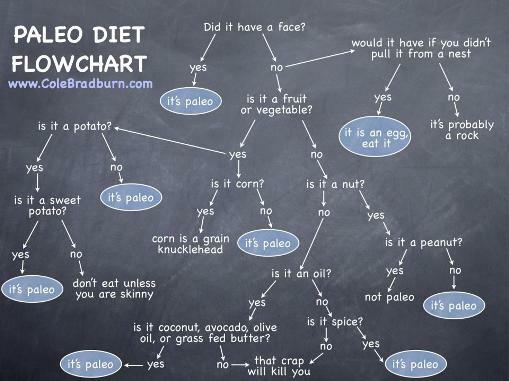 Ok, it's time to address the Paleo Diet. 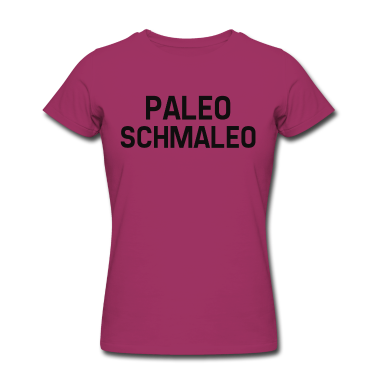 It seems apropos, because I recently attended a "Paleo Dinner" hosted by my fellow Recyclista, Emily Susen of Sleep.Eat.Gym.Repeat. 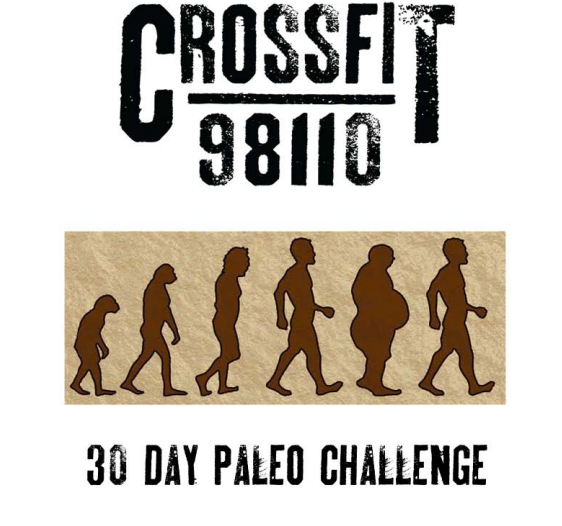 First, in case you've actually been living in a cave and haven't heard of this diet, the Paleo Diet is a food regimen cooked up by Dr. Loren Cordain, PhD, an anthropologist at Colorado State University. He touts this high protein diet as one that humans "were designed to eat". In fact, he suggests that you can "lose weight, prevent and treat heart disease, cancer, osteoporosis, [and] metabolic syndrome" by eating "all the lean meats and fish, fresh fruits, an nonstarchy vegetables you want". It's a diet, he states, that has been built into our genes - the stuff of hunter-gatherer civilizations. 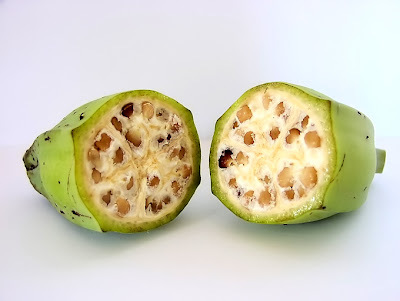 Only real food that you could have hunted yourself or gathered from the ground. Sounds super healthy, right? The fatal flaw I find in this diet is that it is 100% impossible to implement in the modern era. I'm not talking about a little difficult to cut out the carbs or even particularly challenging on a wild beer filled Saturday night. I'm saying that the food that our ancestors ate does not exist anymore. It has been selectively engineered for massive scale consumption. There is no exception. My favorite example is that, not so long ago, carrots used to be purple and were inedible. Modern science has altered them to be digestible, enormous, sweet, and orange. This is a Wild Banana. Notice how little fruit there actually is. LEFT: The small plants cave men would eat. 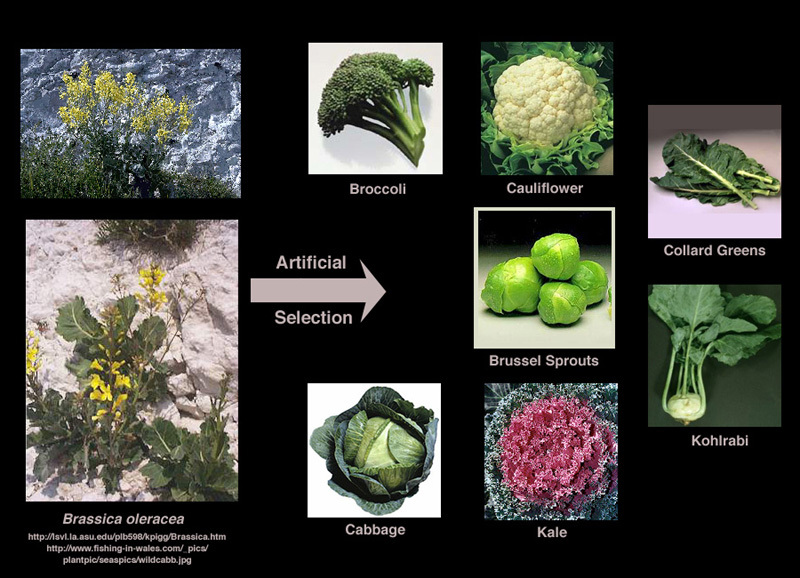 RIGHT: The large, genetically altered, plants you eat. Ok, so the food doesn't exist anymore. But the modern day equivalents are still good for you. True. But, in addition to the implausibility of this diet, the "scientifically based" exclusions of this diet are quite imbalanced, seemingly cherry-picked from non-human research, and typically contradictory. 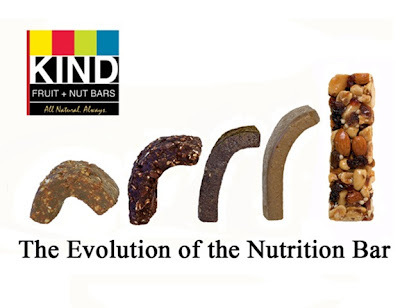 Indulge me for a minute, while I work out some pro's and con's of the Paleolithic Food Pyramid in the modern era. PRO: Real Food. The idea with Paleo is that nothing is processed. So, essentially, nothing in a package. No crackers, no KIND bars, no protein shakes, no deli-meat... I'm on board with this. Check. PRO: No Fatty Meat. I love this one! No deli-meat, pepperoni, sausage, lamb and pork chops, marbled steak, or BACON (all off the list according to Cordain himself). This stuff is BAD for you. Documented again and again. From excessive amounts of saturated fat to an obscene amount of calories, everyone should cross this crap off their list. The problem is, I don't think this message is actually getting out there. 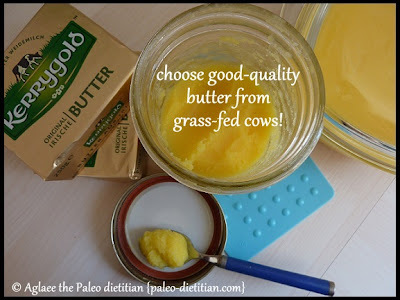 Everyone that I know that "eats paleo" gobbles down any kind of protein they can get their carnivorous hands on. The diet does call for "lean meat at every meal" however, there are VERY FEW healthy lean meats at the grocery store. Do you honestly think that "organic chicken breast" is anything like the wild bird the Paleo-man had to catch to eat? AND...that same Paleo-man would have swallowed every last bit of edible flesh on that sucker - muscle, eyeballs, liver, heart, even siphoning the marrow from the bone. AND...he probably wouldn't have another bird for days, maybe weeks. Nathaniel Dominy, PhD (a Dartmouth based dissenting anthropologist to Cordain) says that the idea that our cave-dwelling ancestors consumed animal flesh at every meal is simply unfathomable. He actually says that the staples of the hunter-gatherer were more likely plant based and has coined the term "starch-ivores" to describe ancient populations. In fact, a multitude of research, including a recent paper in the journal Nature, showed that our ancestors truly did subsist on a diet of grasses, fruit, and bark, not animal. Scientists can figure this out by looking at food particles stuck to ancient teeth (gross). CON: No starchy vegetables (including the super-hot-right-now-sweet potatoes) and starchy tubers. I find this to be a contradiction considering several other tubers like: turnips, beets, carrots, celeriac, and radishes are on the "eat more" list. Interestingly enough, the Glycemic Index (a measure of sugar content) in a cooked sweet potato (44) is less than a carrot (49). This seems like one of those cherry-picked ideas. I get that we want to move away from processed potato products...but this appears a little random. There are no reasons given in the book as to why sweet potatoes are a no-go. CON: No Grains. The problem with not eating whole grains is that you are essentially limiting very important sources of micronutrients (like Vitamin E) when you eliminate them from your diet. The Paleo's are super high on the idea that gluten, from grains, is essentially a poison to your insides. Again, like lectin, gluten is a protein. People can most definitely have sensitivity to gluten, ranging from mild allergic symptoms to very serious and debilitating Celiac's Disease. However, Celiac's is an autoimmune disorder, not an allergy. More people in the US are actually allergic to shellfish than wheat. PRO: No sweets (including honey). I'm putting this one in the pro-category because we should all eat less sugar. No question. Sugar, more than any other macronutrient out there, is most likely to be blamed for a huge portion of our society's disorders. However, exercising bodies need to replace glycogen with glucose. Gluconeogenesis (making sugar from other things you eat) will happen, however, it cannot happen rapidly enough to recover when you are training. No glucose, no glycogen. No glycogen, performance declines. Even Cordain has admitted this in his book, The Paleo Diet for Athletes. So, overall, I think this diet has its heart in the right place.... -ish. However, it's still a diet. A very exclusionary (and potentially harmfully imbalanced) diet. A diet that, despite its authors claims that it mimics an ancient-genetically-pleasing nutritional composition, is impossible to replicate in the modern era. I'd say it's stretching scientific truth...a lot. 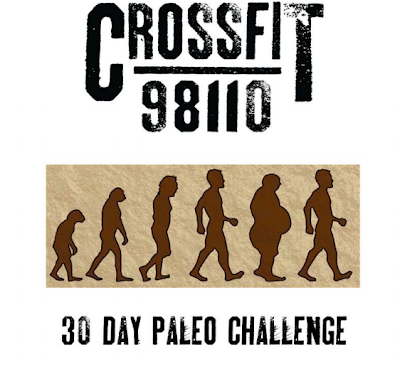 My last thought on the Paleo Diet is that it has become an excuse for people that work out to eat copious amounts of protein, with a complete imbalance of fruits and vegetables (which the diet does actually call for). Cordain says you can "Eat until you are full." The main issue with "eating until you are full", especially if you are eating super high calorie foods in the modern era, is that you will over eat. No question. And you will most likely over eat the steak, not the broccoli. So, what did we eat at our Paleo Dinner the other night? LOTS of fruits and veggies (obvi!!). Pineapple avocado guacamole, red-pepper dip, and an amazing brocolli/carrot/cauliflower/seed-y/raisin slaw. The two meats we had were prosciutto (cured meat...on the bad list..oops) and a tuna ceviche (which, as my husband pointed out, is a deep water fish that would have been pretty difficult for a boat-less cave-man to catch...). Details, shmetails. Newer PostYogurt...all Greek for me!